Fans of feisty, imaginative Anne will love this set of four prints featuring quotes from the book by Peter Pan Prints! 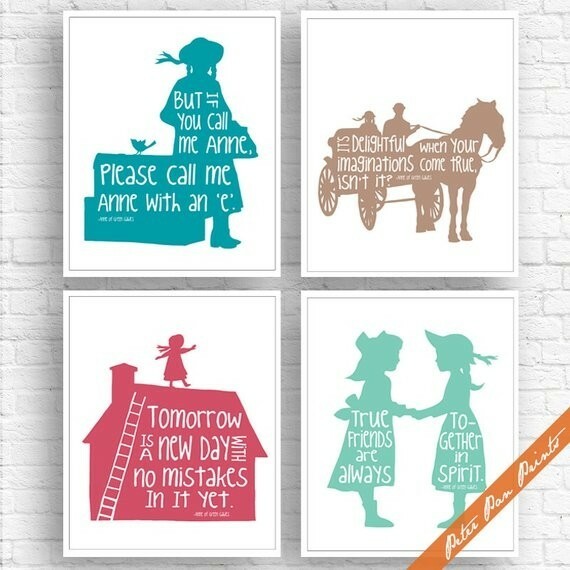 Each of the prints features a scene from the book in silhouette, paired with a memorable quote.This set of four prints is available in a variety of sizes, from 5X7 inches to 24X36 inches; you can also choose to have the colors as featured, or select from a variety of colors to customize them to your taste. For more inspiring artwork for your Mighty Girl's space, visit our Art / Decor Collection.